A window into Orkney Arts, Crafts & Design Workshops and Galleries. The Creative Trail makes it easy to discover the amazing, traditional and contemporary, arts, crafts and design businesses that thrive on these inspirational islands. Whilst doing so, visitors explore the sensational landscape that makes these beautiful islands so unique. The Orkney Creative Trail is maintained by the Creative Orkney (CO). 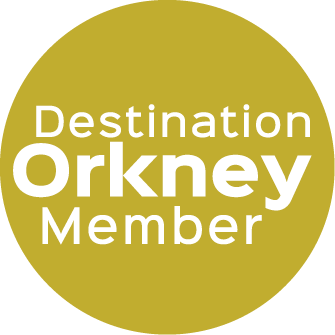 Established in the 1990’s, and re-branded in 2018 CO supports Orkney-based professional artisans by promoting their beautifully made products at home and abroad. Pick up a copy of the Creative Trail booklet to browse and select the businesses you would like to see more of, and find out more about. The guide contains a map and each member’s page has clear simple instructions on how to get there, as well as the opening times etc. Of course, we don’t expect you to limit yourselves to just one visit – so you can also use the map to compile your own personal Creative Trail – visiting all the things that interest you. A warm welcome awaits you when visiting any of our craft trail members’ workshops. By showing works in progress, personalised tours bring each Orkney designed and made craft to life. Creative Orkney members’ work can be purchased from their own galleries and workshops when you visit, or from various retail shops throughout the islands. CO members also have a selected range available to view and buy at the Ortak retail shop on Albert Street and at the Hatson outlet in Kirkwall. Display cabinets showing our members’ work are also located at Kirkwall Airport and the Stromness NorthLink Ferry Terminal. Not all members’ workshops are suitable for public access so, in the Creative Trail brochure, you will also find information on CO members who are not on the Creative Trail, but who sell their products in various local shops. Do take the time to look them up as well for even more options on what to take home with you. We hope you enjoy our Orkney Creative Trail and we are confident that you will find something to take home from our wide range of traditional and contemporary arts crafts and designs, which will remind you of your visit to Orkney for years to come. Enjoy your stay on Orkney!